The defense says Fields "was scared to death" and also remorseful. CHARLOTTESVILLE, Va. — No one disputes James Alex Fields Jr. plowed his car into a crowd of counterprotesters at a white nationalist rally in Virginia last year, killing a woman and injuring dozens more. 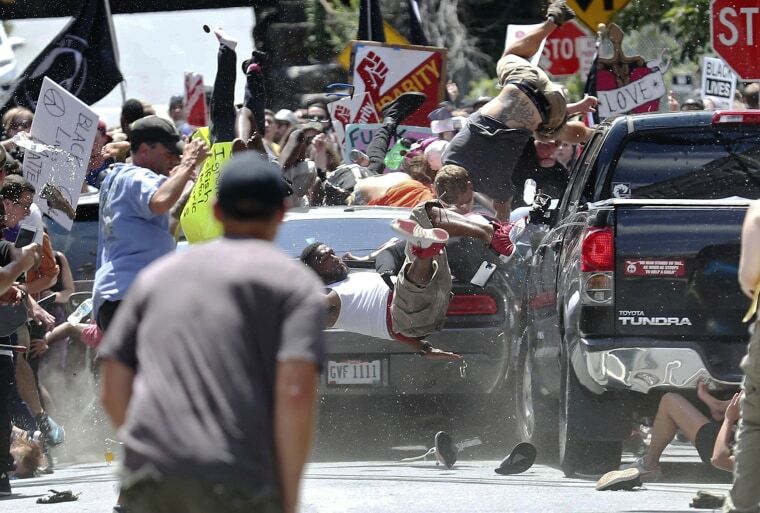 Defense attorney John Hill agreed there's no doubt Fields drove the car that careened into the crowd, but Hill said it happened after hours of violent clashes between white nationalists and counterprotesters, including street brawling, people throwing bottles and the use of tear gas and chemical sprays.